You are here: Home / News / The Pink Ribbon Garden Goes National! 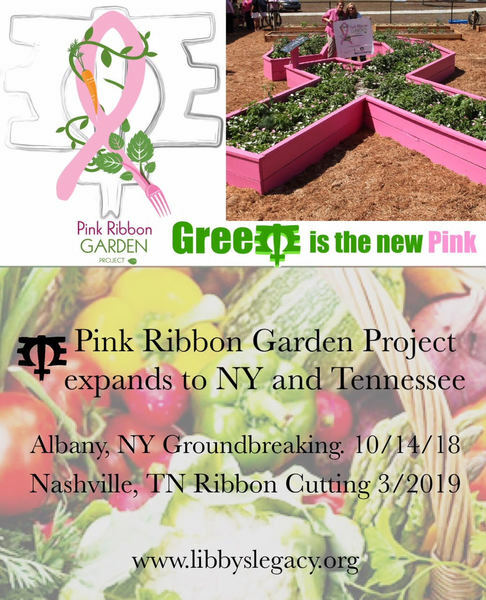 The Pink Ribbon Garden Goes National! Such great news! Libby’s Legacy and Melissa Etheridge are taking The Pink Ribbon Garden “on the road”...NATIONALLY! Next stop - Albany, NY! And then, Tennessee in 2019!! !